4th of July party games are as diverse as the people who play them. 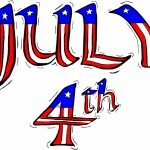 Independence Day celebrations are during July, a time of the year where people are excited to be outside, to grill things on the barbecue, and to spend time with friends and family. This is why so many people are looking to plan some exciting 4th of July games for their Independence Day celebrations. If you are looking for some help in getting those creative juices flowing, consider the following 4th of July party game ideas. 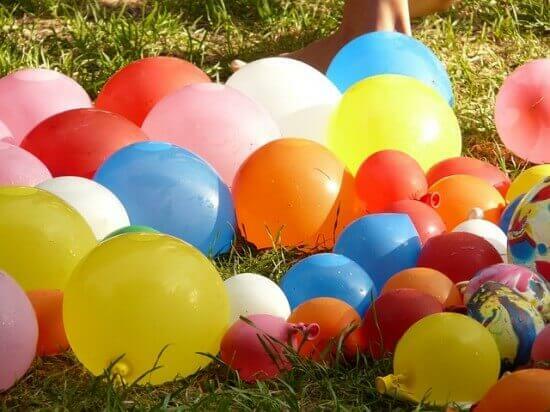 The following ideas for 4th of July party games are categorized according to age and level of physical activity. You will want to be sure that you select games that will be appropriate for each of the guest that you invite. Of course having more games specifically aimed at entertaining children is always helpful. Sit-down fun for adults and children word games with patriotic themes are excellent ways to entertain your party guests no matter what age group they may fall into. Word searches and crossword puzzles are great anytime games that will get your guests thinking about all the wonderful things associated with the great holiday of the 4th of July. An active game for children of most ages Red, white and blue tag is a fun game that is great for outdoor play. Each child is given one token that is either red white or blue. The children then run around trying to tag each other. If you are tagged then you must give the person who tagged you your token. The first person who tags enough people to get one red, one white and one blue token wins. A sit-down game for all ages The red, white and blue circle game is a great way to entertain kids while getting them to settle down for a meal and at the same time works well at engaging adults too. Everyone sits in a circle. The first person in the circle must name something that is red, the next person names something that is white, and the next person names something that is blue. You continue around this way in the circle. You cannot repeat an item that has already been said nor can you take longer than 5 seconds to name something of a specific color. If you name something a second time or take too long to answer you are out. The game continues until there is one winner. A game of moderate activity level mostly for kids but doable for all ages What could be more American than sidewalk chalk? Get out your sidewalk chalk and let the kids all color on the driveway. You can section off different areas for different age groups and have a judging when all works of art are completed. Suggest that the kids follow some sort of patriotic theme like the flag or the Presidents. Appropriate for all ages The 4th of July would not be complete without fireworks. 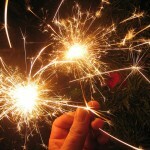 Let your older children participate by using sparklers and ground poppers. Pool the fireworks of all your guests together to make an even bigger show. You can make a game out of your fireworks display by having contests to name the biggest fireworks in your collection. You can also have a guessing game of what color will show up first or how long each fire work in the show will last. 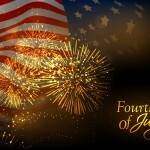 Whether you are setting off your own fireworks on the street or watching a larger show put on by the city or other organization, bring out the blankets and enjoy the fun that we are able to have as Americans on this Independence Day.